Mine Yildirim: "They call it dog graveyard. we call it home: dog exiles, confinement and killings along peri-urban istanbul". We encourage you to bring lunch and an open mind for engaging conversation! 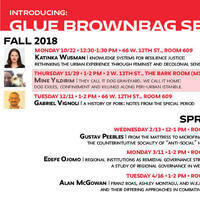 Sponsored by the Global, Urban, and Environmental Studies programs at The New School. Please RSVP in order to receive the paper copy in advance.